Kaspersky has moved to distance itself from an industry trade group amid growing controversy over H.R. 3261, better known as the Stop Online Piracy Act (SOPA). Introduced in late October, the bill would essentially allow the US government to censor the Web in the name of copyright protection. Having previously aligned itself with anti-piracy stances, it's no surprise that the Business Software Alliance (BSA) has been mostly positive about the bill. The BSA has at least acknowledged that it needs to be tweaked so due process, free speech and privacy aren't compromised -- an impossible feat, many SOPA opponents contest. Granting such authority to a centralized power, even with the purest of intentions, is a recipe for disaster -- especially in the bureaucratic nightmare that is Washington DC. We've already seen questionable examples of seizures and censorships without SOPA. Because it's a member of the BSA, Kaspersky's name has been a part of the mudslinging, even though it hasn't been involved in debates about SOPA and doesn't support the initiative. "We believe that such measures will be used contrary to the modern advances in technology and the needs of consumers," the Russian security firm explained. 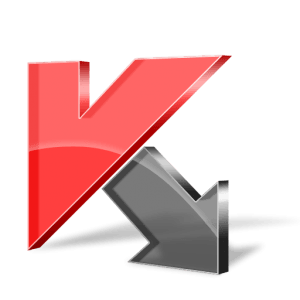 To demonstrate its disapproval, Kaspersky will withdraw its BSA membership on January 1, 2012. Other industry titans, including Google, Yahoo, Facebook, Twitter and others have expressed concerns over the proposed legislation. Most have taken a similar stance to the BSA in saying that they support SOPA's objective (curbing piracy), but not its approach. Similar to Kaspersky, Yahoo has ceased its membership of the US Chamber of Commerce, a lobbying group that supports SOPA. Google has threatened to quit too.